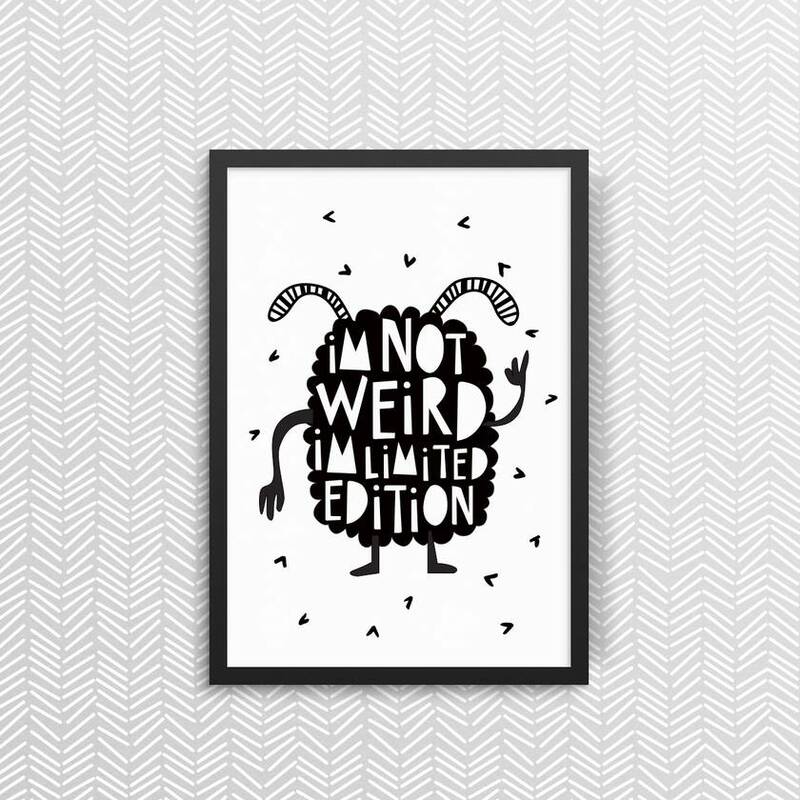 'I'm Not Weird' - Print by Jett Black. A fun black and white print with a cheeky message. Please note this listing is for A4 (210 x 297mm) - if you would like it in another size, please contact the seller and we can create a custom listing. Printed on high quality 250gsm white card and are carefully packed with a sturdy cardboard flat mailer in a cellophane sleeve for protection. Designed to fit standard off the shelf frames. Please note that picture frame is not included. Thanks for visiting Jett Black! Contact jettblack to enquire about payment or shipping options.